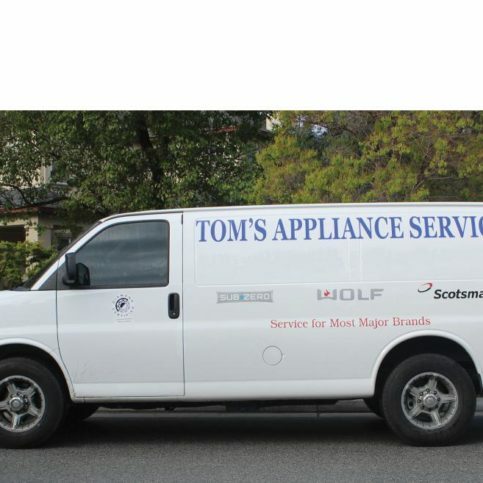 Tom’s Appliance Service, Inc. has been providing appliance service and repair for clients throughout Santa Clara and San Benito Counties since opening in the 1960s. Over the past two decades, the company has specialized in repairing Sub-Zero, Wolf and Scotsman brands. Owner Jorge Paiva took over ownership of Tom’s Appliance Service in 1999 from original proprietor Tom Hughey. Mr. Paiva says he strives to continue the tradition of quality for which the company is known by providing excellent appliance service for his clients. Mr. Paiva is factory-trained to perform Wolf, Sub-Zero and Scotsman repairs. To ensure his expertise, he attends training sessions at the Sub-Zero and Wolf manufacturing facilities in Madison, Wisconsin. 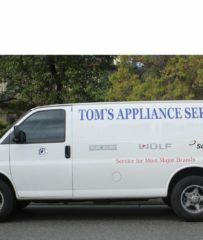 DIAMOND CERTIFIED RESEARCHED CAPABILITIES ON Tom’s Appliance Service, Inc.
Company Name: Tom’s Appliance Service, Inc.
DIAMOND CERTIFIED RESEARCHED ARTICLES ON Tom’s Appliance Service, Inc.
Tom’s Appliance Service sends a stocked service van to every job. Mr. Paiva says small courtesies make the difference with his Morgan Hill-based business. Customers receive a phone call in advance of their appointment, so they don’t have to wait at home for a technician to arrive. 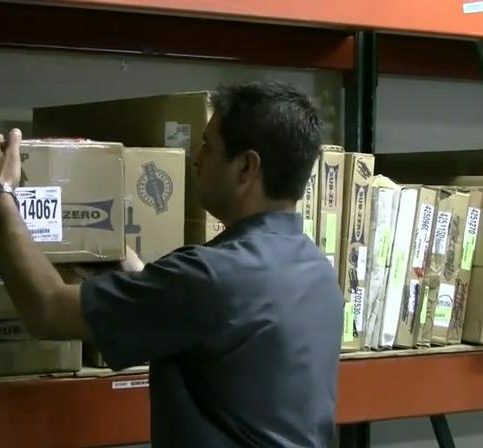 Mr. Paiva and his employees have often returned to a previous jobsite, despite having no obligation to do so, to correct problems that weren’t covered under the company’s warranty. “We simply want to make our customers happy,” says Mr. Paiva. He recounts a yearlong period during which he paid almost monthly repair calls to a customer who, despite ample evidence to the contrary, had convinced himself his refrigerator was malfunctioning. Mr. Paiva says Tom’s Appliance Service has a large and loyal customer base, which it acquired “through exceptional customer service.” Customer satisfaction is important to the company–it routinely fields calls from customers who commend it for the caliber of its work and professionalism. Tom’s Appliance Service’s technicians are among the few in Santa Clara Valley who are factory-trained and certified at the Sub-Zero and Wolf manufacturing facilities in Madison, Wisconsin. In fact, says Mr. Paiva, the company is one of only 100 in North America selected for distinction by Sub-Zero. When hiring someone to repair an appliance in your home, trust your instincts. Most of us don’t judge people by how they look, but if an appliance repair company has employees who don’t look professional, don’t wear uniforms, and don’t show up at your home with the proper tools, you may have made the wrong choice, says Jorge Paiva, owner of Tom’s Appliance Service, Inc. in Morgan Hill. Mr. Paiva says the Internet has made it possible for virtually anyone to “put a magnet on the side of their car and automatically become a repair person. A lot of these people just aren’t prepared. They don’t have the training. Just because you’re handy and can fix things doesn’t mean you should be doing this for a living,” he says. If you’re unsure where to find a reliable and conscientious repair company, Mr. Paiva recommends a referral from a friend or relative. If you resort to the phone book, however, understand that the companies with the largest ads don’t necessarily offer the best service. Q: How quickly can you get parts? A: Most times, we can immediately get them. We have a large inventory in our trucks; I think they’re the best-stocked vehicles in the area. If we don’t have a part, we can usually get it within a day or two. Q: How quickly can I schedule a service call? A: We can often come out the same day. Other times, it may be a day or two. We have customers who say, ‘I don’t care how long it takes, I want your company because I know you’ll do it right.’ Sometimes it’s best to wait an extra day or two to get it right the first time rather than hire someone out of the phone book who’s available immediately. Q: I worry about repairmen in my home. Can I trust yours? A: Absolutely. Our workers are absolutely professional, clean and courteous. They wear uniforms and have scrubs to protect your floors. They can wear booties if you’d prefer. They have latex gloves, dust masks, vacuums, ladders, and tools—everything they need. SELECTED PHOTOS FROM Tom’s Appliance Service, Inc.
Diamond Certified RATINGS ON Tom’s Appliance Service, Inc.
Tom’s Appliance Service, Inc. : Average 9.3 out of 10 based on 350 unique customer surveys of customer satisfaction. They are reliable and they show up on time. I liked the technicians. The technician, he was the best. They were referred to me by others, so I would use them. They are reliable, honest and he did what he needed to do and he got out. It is nice to know that there are still honest companies available. He came out to look at my refrigerator and he told me that it didn't make sense to service as I would have to replace it a year later. They are very thorough and they do high quality work. In addition to explaining what was wrong, he had an eye for detail. They are very busy, but once you get them and they come to take care of the problem, you can count on it being carefully done. I have no problems whatsoever with calling them multiple times and recommending them. Jorge explained what he was going to do and how he was going to do it. If it needed parts, he got back to me and let me know when the parts were ordered and when they would be coming in. They came when they said they were supposed to, they did the work, and they cleaned up afterwards. They were on time. Just very good to deal with, and they were on time. I just liked how he was on time and how he laid down on the floor and he cleaned up after himself. I would recommend him any time. His knowledge was impressive and he knew what he was doing. Tom could take my dishwasher apart and diagnose the problem and take care of it. It is the best appliance service I have ever used. He was punctual, the price was right, and the repair was done properly. They are very reliable, very responsible and do an excellent job. I think they are knowledgeable. I would highly recommend them, they really knew what they were doing and they were high quality. They were very efficient to diagnose the problem quickly and solve it for us. He does what he says he is going to do and he is here when he says he will be here and what more do you want? He returns calls and they are good people. I would give them a "12". He does his job and he knows what he is doing.